Join FSCJ Faculty and the South Campus Library and Learning Commons staff for a series of discussions on our favorite subject: books. 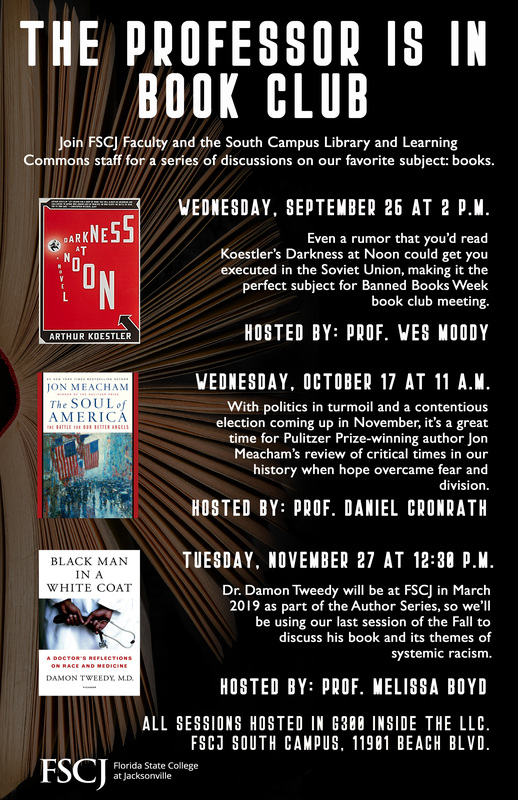 For September, Dr. Wes Moody will be discussing Darkness at Noon, the 1940 classic novel set during the great Stalinist purge in Russia which Modern Library ranked number eight on its list of the 100 best English-language novels of the 20th century. Even a rumor that you’d read Koestler’s novel could get you executed in the Soviet Union, which makes it the perfect subject for a Banned Books Week book club meeting.